The ScotRail Alliance today announced that musicians from the Royal Scottish National Orchestra (RSNO) will be performing two special concerts on board trains along the Borders Railway. RSNO violinists Alan John and Alison McIntyre will be performing a section of music, from classical to traditional Scottish, on the 1125 Edinburgh – Tweedbank and the 1328 back to Edinburgh on Wednesday 7 June, with the support of the ScotRail Alliance and the Borders Railway Community Rail Partnership. The concert is one of five across Scotland hosted by local community rail partnerships, who volunteer their time to promote and improve their local railway line. The ScotRail Alliance has supported the RSNO since 2008, when they became the official travel partner to the orchestra. RSNO Artistic Director for Learning and Engagement William Chandler: “Our partnership with ScotRail is incredibly valuable to us as it provides us with the means to travel the country performing to audiences in urban and rural settings. We relish the opportunity to try new things so when the opportunity to use the rail network to not only access performance opportunities but to provide platforms for performances themselves we were keen to accept. We’re very much looking forward to seeing some new faces on our journeys and spreading the joy of live music”. 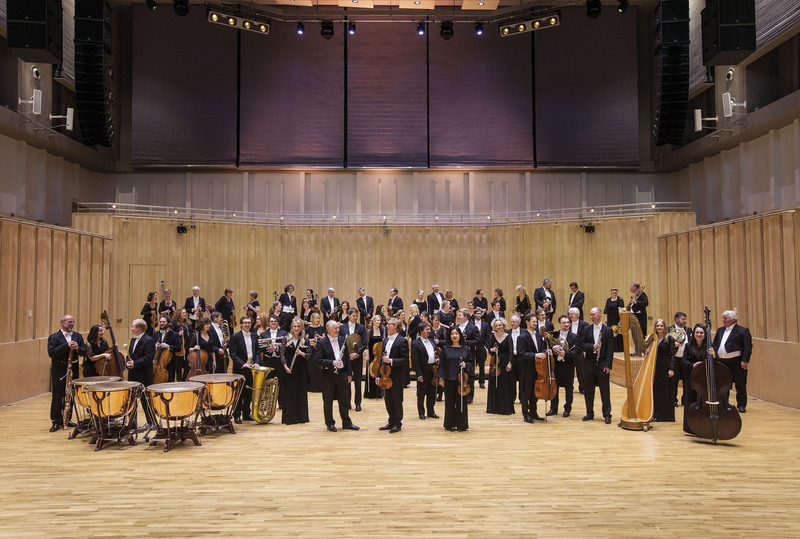 Pictured: The Royal Scottish National Orchestra at the RSNO Centre, Glasgow.